We’ve lost all of Biltongbek and most of Scott Allen. Let’s not lose other rugby gurus here on The Roar. The solution is civility. Rugby has always been the most genteel of sports. 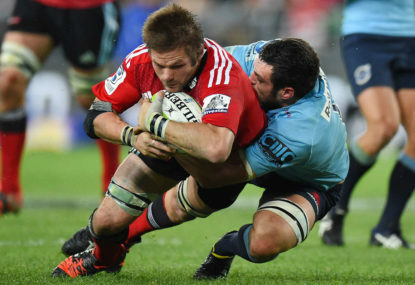 Rugged war on the pitch, ask no quarter, but self-policed and then off the pitch, the likes of Schalk Burger or Eben Etzebeth will have a beer or two with Richie McCaw and Jerome Kaino, all still bleeding from engagements with the other. Do you want to help out on The Roar as a moderator? Get in touch! Add spiteful poison after the match and we lose a vital distinguishing characteristic from other codes. We are rugby men. We don’t dive. We don’t whine. And on The Roar, why would we be less than civil? We are all enjoying the forum because we love one code. It’s a code unlike any other. We only love it because it is a code. 1. Before posting, consider the impact of your words and actions on others. 2. Post in a way that a newcomer would find inclusive. 3. Assume good motives; differ without spite. 4. Self-monitor respect; just because you aren’t moderated, don’t assume it’s OK.
5. Understand your triggers or “hot buttons.” Chill. 6. Knowing what makes you angry and frustrated enables you to manage your reactions and respond in a more dignified or funny manner. 7. Take responsibility for your actions and apologies. 8. Rely on facts. Gather relevant facts, especially before posting a hot opinion. 9. When waging provincial or national arguments, watch the adjectives. 10. Step back; have perspective. This is supposed to be fun and informative.